Gulf Coast Windows have been the proud recipients of the Better Business Bureau (BBB) Award of Distinction at the Awards for Excellence ceremonies a total of ten times from 2006-2015. 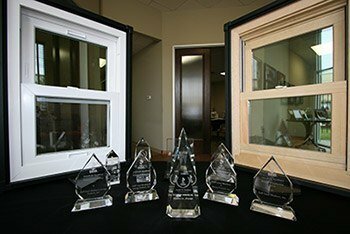 Additionally, Gulf Coast Windows won the prestigious Pinnacle Award from the BBB for proving themselves to be the best and brightest in their industry. Under their current and original owner, James Fiume, Gulf Coast Windows has maintained a respected relationship not only with the Better Business Bureau, but with the residents of the Greater Houston area. Time and again Gulf Coast Windows has proved itself to be among the elite in their industry, and the BBB continually takes note of their continued excellence, not only in business, but customer care and product satisfaction. For more information about Gulf Coast Windows’ products and packages, contact them online today and request a free quote. "I am writing to let you know that your installer did a great job. I am a person in the construction business and I would just like to add that I would be more than happy to refer your company..."